I know, I know.. It’s summer, it’s hot. But don’t let that stop you from creating!! Today I have a fun and practical project to work on in between your beach trips and sun bathing. It may be too hot to wear our makes, so let’s make some stuff we don’t have to wear! Home decor is so fun to make! Being able to decorate with items that you have made with your hands and custom color choices really allows for a personality and love-filled home! Using the seriously delicious Buttercream Glossy yarn found exclusively at JOANN Stores, I am so excited to share this fun project with you! 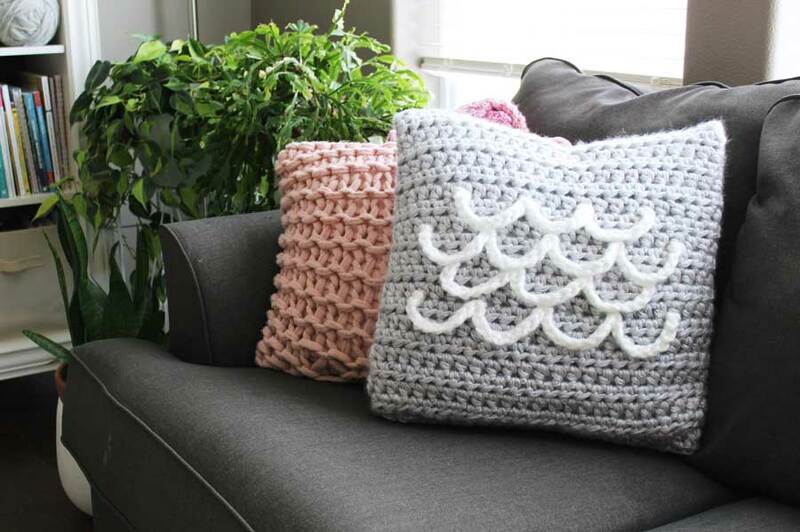 The Summer Crush Pillow crochet pattern was inspired by a constant desire to keep yarn in my hands, no matter how sweaty they get during the summer. I love using handmade pieces to decorate my home because there is just no other feeling of love and coziness than to have pieces that took hours and intention to create filling your home. 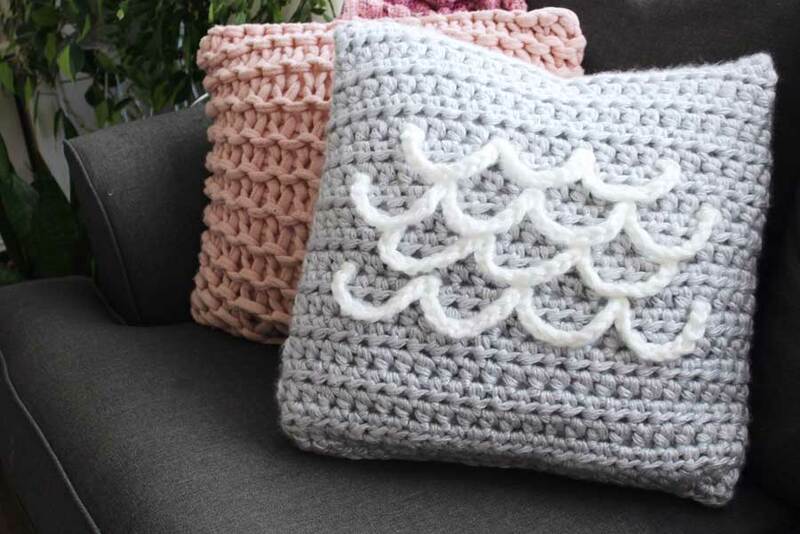 With a touch of elegance from the sheen and detail of the yarn itself paired with a basic stitch and finished with simple, yet intentional detailing, the Summer Crush Pillow is perfect for Makers of all skill levels! 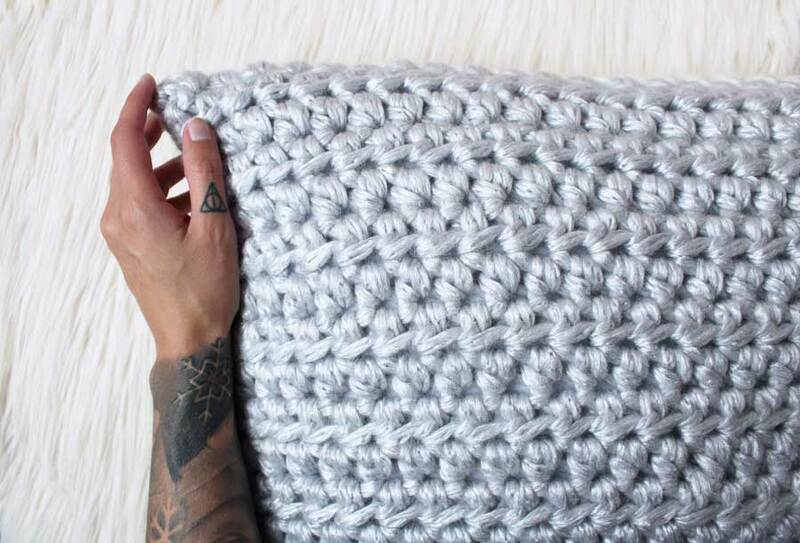 No matter what color choices you choose, you’re about to have one super darling pillow to snuggle up to! Note: Creating this project may lead to unexpected naps. I experienced this first hand and just want everyone to be aware of the potential sleepy dust that will be embedded in this piece. Use caution. -This pattern is made as one long rectangle with one color change. After the rectangle is complete, we will be folding it in half and seaming up two of the three open sides. We will place the pillow inside the pocket and finish seaming up the pillow. Once the pillow is complete, we will add the scalloped detailing. Using Color A, CH 26. Repeat Step 2 for a total of 20 rows. 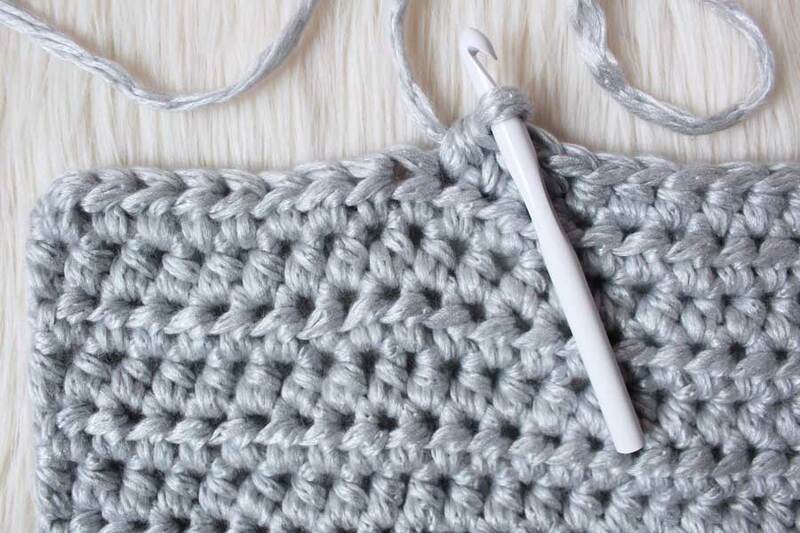 Repeat Step 6 for a total of 20 rows. 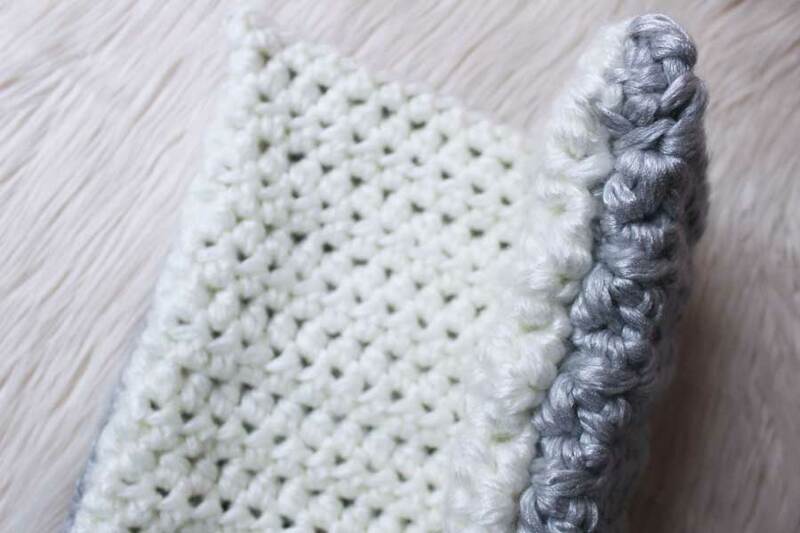 Lay your crocheted rectangle flat. Fold the second color section over the top of the pillow form. 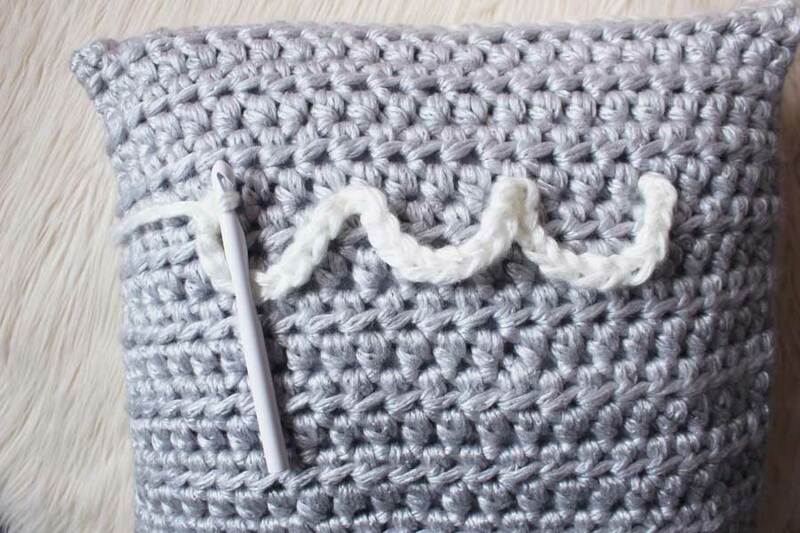 Place your stitch markers in the corners, connecting both panels together. Using Color A, attach yarn to side of pillow, near fold, using a Sl St. CH 1. Sl St in evenly around two sides of the pillow. - Do not finish off. Turn pillowcase inside out, setting the seams inside. Place pillow form inside pillowcase pocket. Finish up seaming using Sl Sts. Finish off, weave in ends. Note: You may choose to do the detailing on Color A or Color B side - or both! 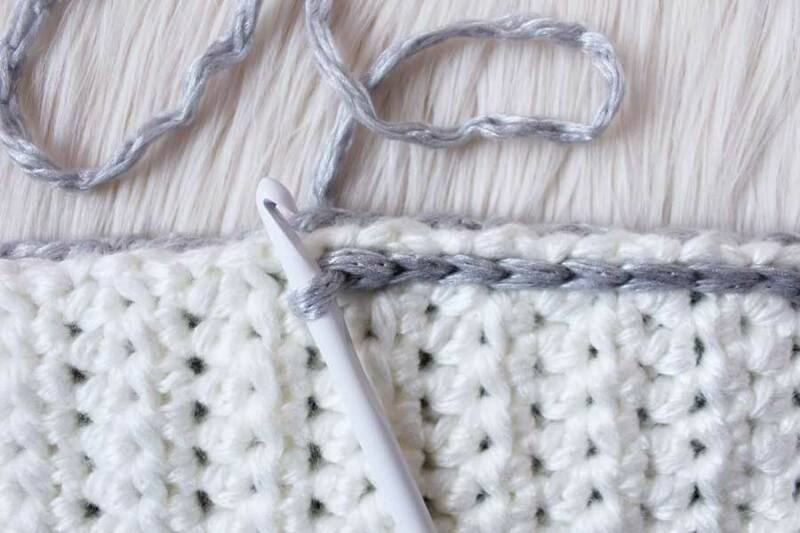 Just be sure to use the opposite yarn color for the detailing to get that “pop! Attach yarn to front of 5th st inward from the side of the pillow on row 9. [CH 5, sk next 3 HDC, Sl St to front of 4th HDC st] Repeat two more times. Finish off. Reattach yarn to front of 3rd st inward and two rows above previous Sl St detail row. [CH 5, sk next 3 HDC, Sl St to front of 4th HDC st] Repeat three more times. Finish off. Now go take a nap. I did. I just love finding ways to still get my hands busy during these warm months, and I sure hope you do, too! 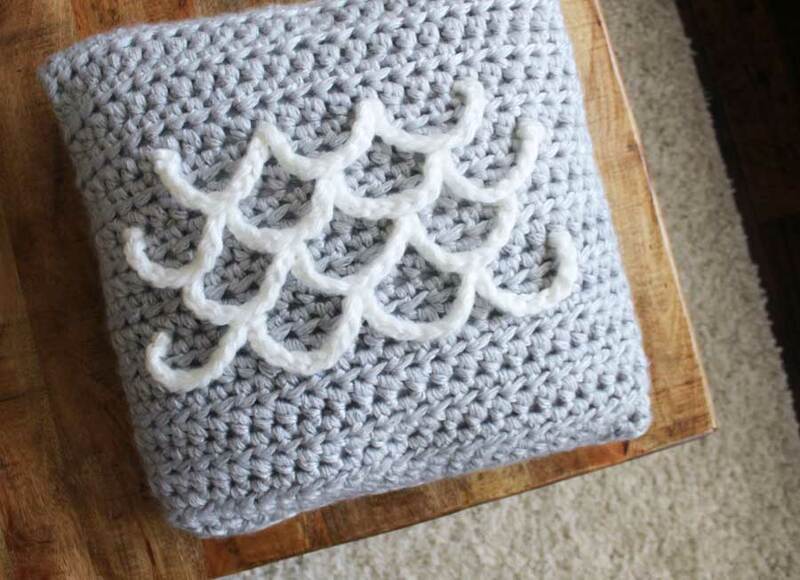 Plus, you now have a handmade pillow to use in your living room, office, camping trailer or wherever you want to add a pop of personality and some cozy! I hope you all love this project as much as I do! Keep on making, my friends!